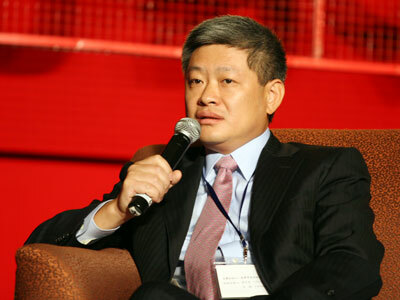 Mr. Zheng is now Founder and CIO of Keywise Capital Management. He is Co-founding Partner of Neon Liberty Capital, managed N. Asian equity portion of $500 million Emerging Markets Equity hedge fund; manager of Greater China Long/short fund, $95 million. His previous work experience includes Portfolio Manager of J.P. Morgan Asset Management, Emerging Markets, Co-manager and Asian specialist for Global EM product with $4.0 billion AUM; Portfolio Manager of Global Small Cap EM product with $250 million AUM; Equity Research Analyst, Asian Financial & Property sectors, J.P. Morgan Asset Management, responsible for primary industry research and stock selection advice on JPM’s EAFE, Global, and Emerging Market’s products with total AUM of $4.0 Billion; Equity analyst, Rockefeller & Co., Inc.; Assistant to Chairman, China International Trust and Investment Corporation; Project Manager in power equipment department, Ministry of Machinery Building Industry. He holds M.B.A. degree from Harvard Business School, and is a CFA charter holder. We welcome more information about Keywise Capital. Our email is support@fundville.com.